Tonight I went and saw the movie 42. I have been wanting to see it since before it came out. As anyone who knows me or reads my articles on this website knows I am not only a historian and theologian but maybe more importantly a student of the game of baseball and baseball history. 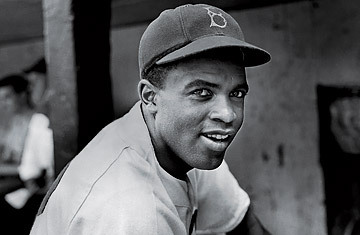 I have written articles on the integration of baseball as well as Jackie Robinson. I have read many books and article about the subject and even still I was unprepared for what I saw tonight. As I watched the movie I found that I was often overcome with tears. That doesn’t happen to me often in movies. A while back I wrote an article about African American soldiers in the First World War and I had a man ask in a comment “why is everything about racism?” The fact that the article was about history and the neglected sacrifices of African Americans who volunteered to serve their country in a time of war and were treated as less than human by many of their fellow citizens was lost on the man. The fact that the French government and not the American government recognized their achievements on those battlefields was also lost on the man. The same is unfortunately true in many other parts of our national life. Call me a liberal or whatever, but I find racism and other forms of discrimination and hatred to be abhorrent, especially when those that are their most virulent supporters claim to be Christians. 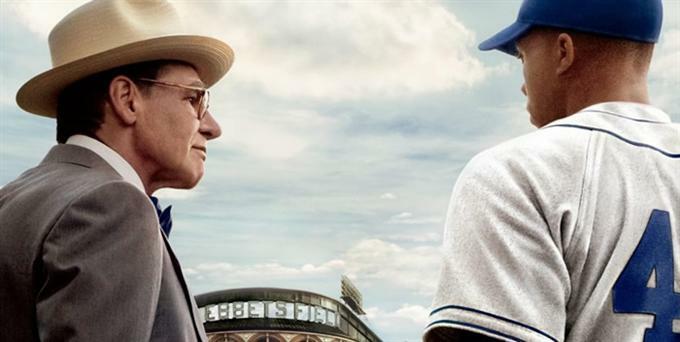 Seeing on film the things that I have previously read about in the life and career of Jackie Robinson brought me to tears through much of the movie. To see the hatred, the threats and the open prejudice of people towards Jackie grieved me. It is hard to believe that 80 years after the Civil War and over 170 years after the publication of the Declaration of Independence that so many white people fought against the simple concept of the equality of the races and the rights of people to fully participate in society, even in sports. Unfortunately racism and many other forms of discrimination are still alive and well in our country. I am 53 years old. I came to age in an era where my high school class was the first to be desegregated in my hometown and attend high school completely in a desegregated environment. When I finished high school I really believed that racism was dead and on its way out. Unfortunately, 35 years after I graduated I still see it. 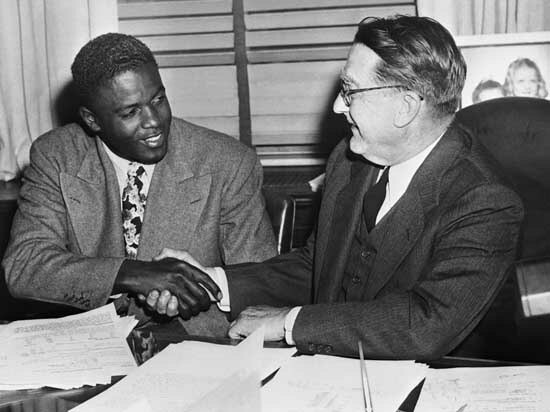 In many cases it is much more subtle but I can say that there are times when it is nearly as blatant as it was in April of 1947 when Jackie Robinson first stepped onto Ebbets Field in Brooklyn. Some of the things that I have read and see about President Obama over the past 5-6 years are glaring examples of such racist attitudes. A friend of mine, a conservative evangelical Christian pastor and a graduate of the Citadel who hails from Georgia told me that many of his fellow Southerners believe that the President “doesn’t know his proper place.” I found that interesting because that has been a charge directed by many whites at blacks and others that aspire to higher office or jobs that they do not feel that blacks, other minorities or women should do. For me it seems so hard to comprehend the hatred that would seek to deny people who are fellow citizens, human beings and in the case of Christians, brothers or sisters in Christ a place at the table. Whether that table is elected office, baseball diamond or even a church simply because of their race, gender, religion or even sexual orientation I do believe that the table should be open to all and that one’s character and competence need to be the measure, and not the color of their skin, whether they are male or female, the place that they are from, who their parents happen to be, the God that they worship or the people they love. I’m sure that both Robinson and Rickey would agree. 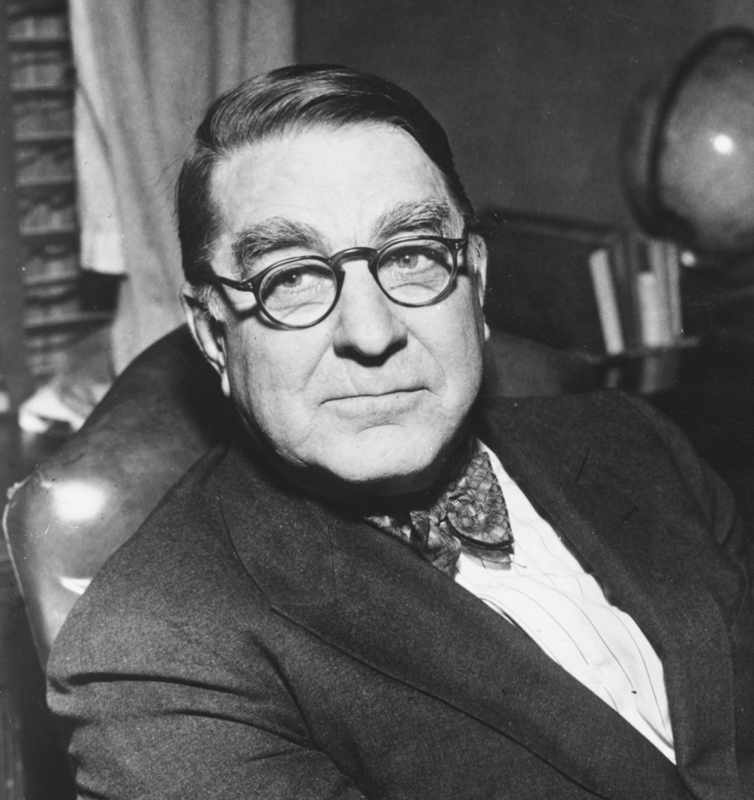 I admire both Branch Rickey and Jackie Robinson, as well as the Dodger’s team Captain Pee-Wee Reese for what they did in that pivotal season of 1947. However, there is so much more work to be done in our generation. I do hope that we find it in ourselves to answer this sacred call.